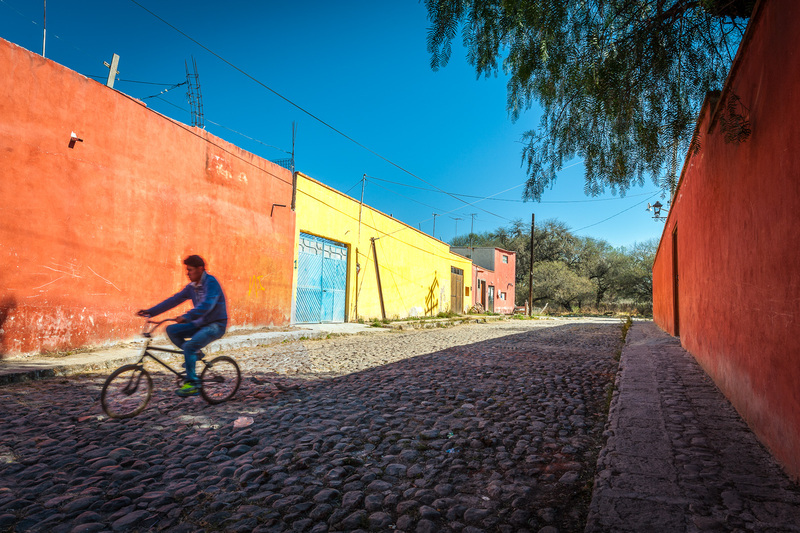 Leaving Baja California Sur behind our next stop was San Miguel de Allende (SMA) in the state of Guanajuato. 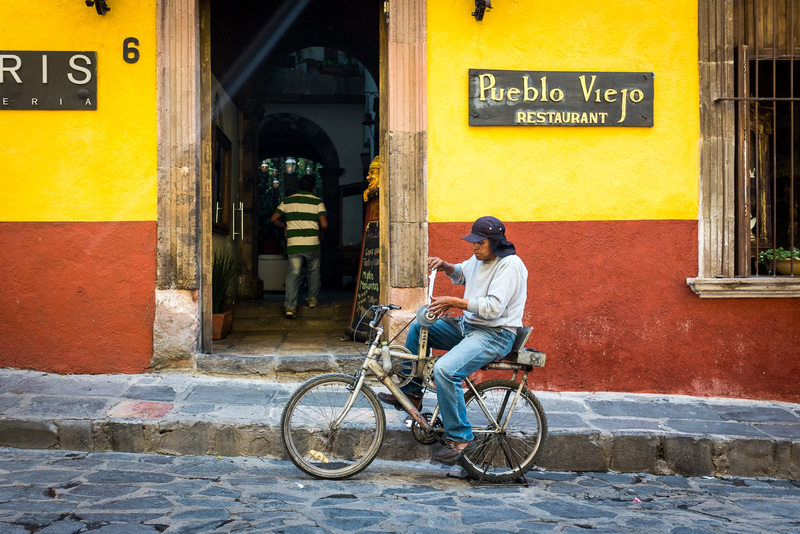 Last year, Conde Nast magazine picked SMA as the number one city in the world because of its great restaurants, beautiful buildings, and lack of traffic lights. 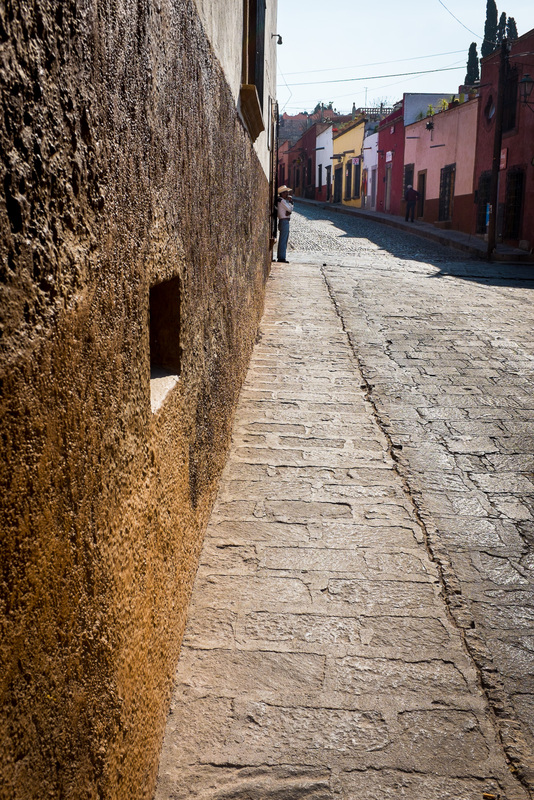 Because of the many intact 17th and 18th century (colonial-era) buildings, in 2008 San Miguel was designated a UNESCO World Heritage site. I read somewhere that since the 20s the city has been actively working to preserve its historic charm. 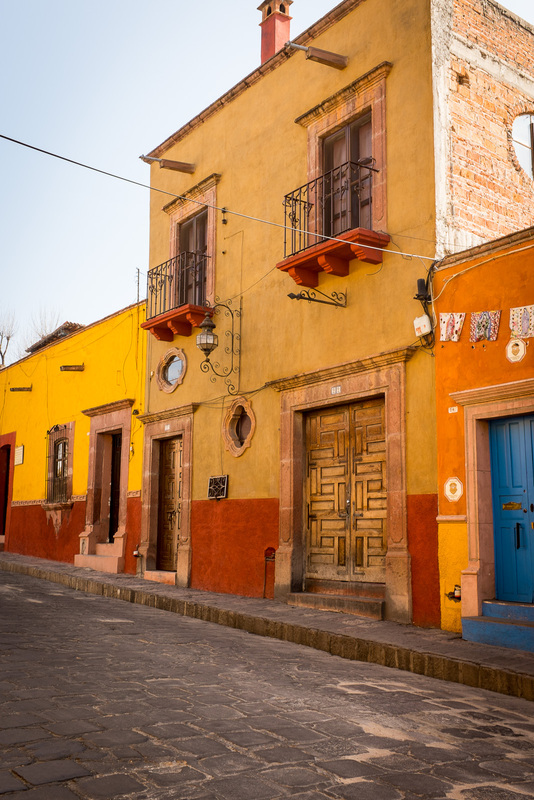 In the center, only 8 historic exterior paint colors (Venetian red, ocher, umber, mustard, cayenne, emerald, cerulean, and vermilion) are allowed. Conde Nast is right that SMA is a beautiful city, and its restaurants are wonderful. In 2007, we visited SMA during a weekend off from our two weeks with Global Volunteers (GV) in the nearby city of Queretaro. Our GV team leader was Francoise. Since that first meeting, our paths have crossed in Georgia (the country), in Vietnam, and in Cuba. Francoise is now a snowbird preferring to winter in SMA to avoid the winters of Maryland. So, we returned to SMA to visit our friend Francoise. The Parroquia (parish) de San Miguel Arcángel sits at the east side of the center square known as El Jardín. In 1880 the neo-Gothic facade was added to the older, modest church. 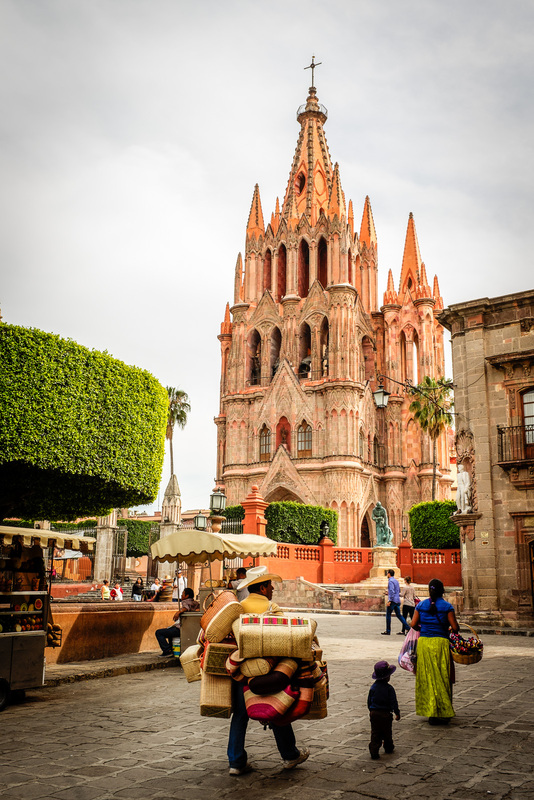 The facade is an architectural confection of Mexican imagination designed by a man who had never seen gothic architecture. The pink sandstone looks almost transparent when the morning sun rises behind it. 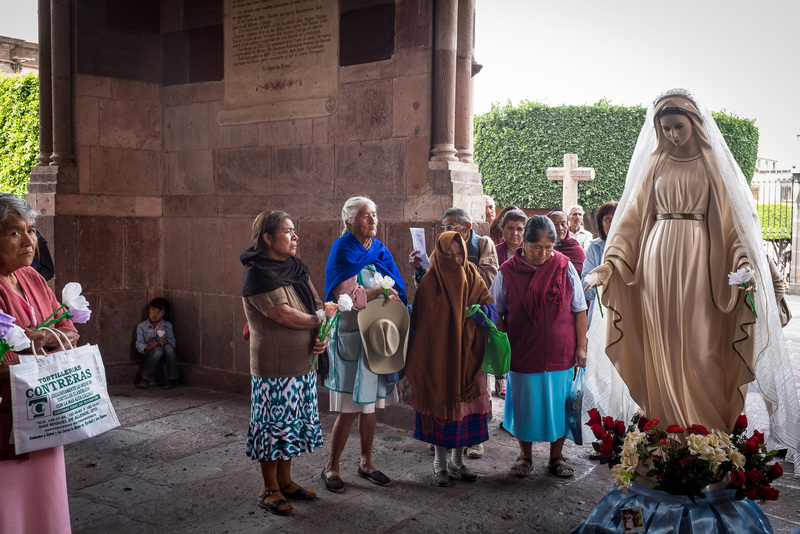 We left SMA too early to see an upcoming festival of those who celebrate the Lord of the Conquest, but we did watch a small group honoring the Blessed Virgin. 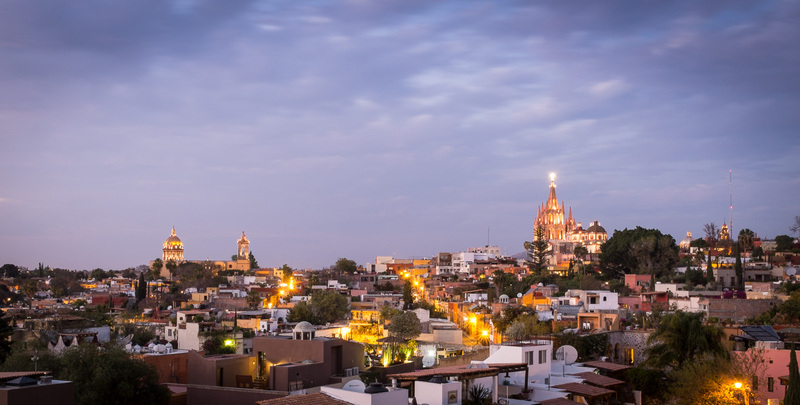 While the ex-pat (Canadian and US) population is about 20%, SMA retains its traditions and Mexican essence. At Francoise's suggestion, we took a trip to a butterfly sanctuary. 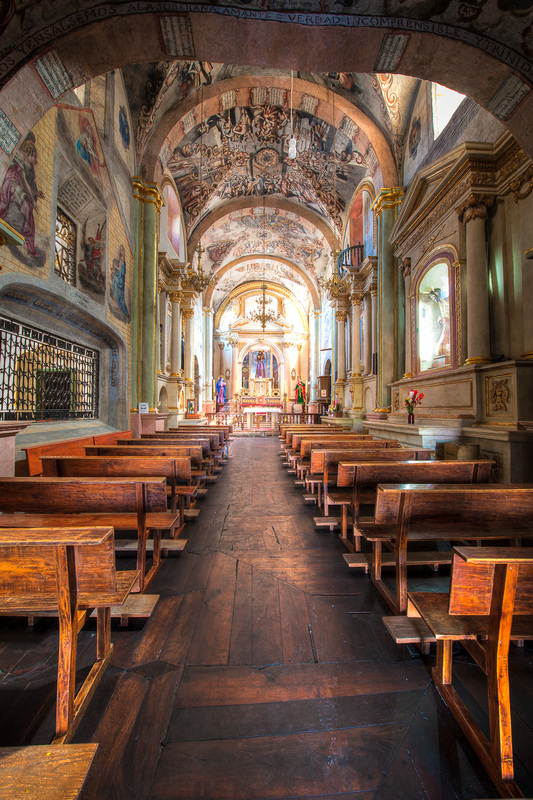 The sanctuary called Reserva de la Biosfera Mariposa Monarca was about 3-4 hours away and located in the state of Michoacán (the home of drug cartels and citizen vigilante groups). 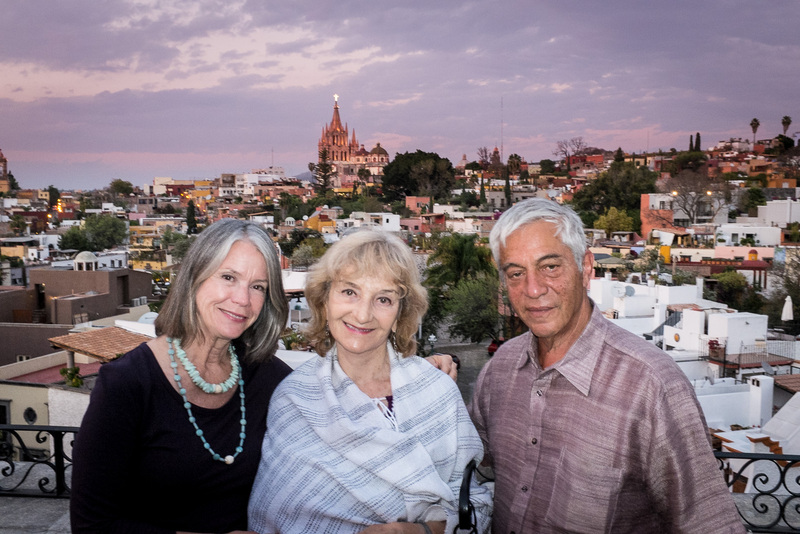 The sanctuary at Sierra Chincua is located about one hour into the northern part of Michoacán and near the border with Mexico state. 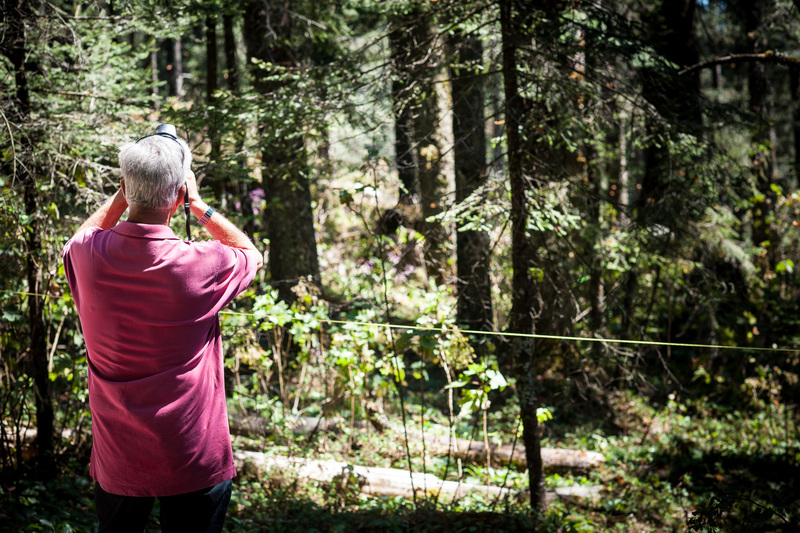 The reserve is within the wintering grounds (October to March) of most of the monarch butterflies that migrate from the east side of the Rocky Mountains. 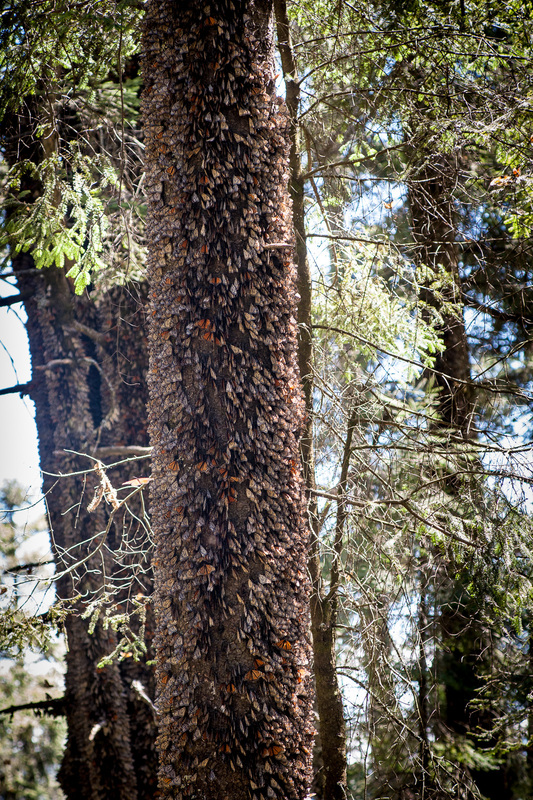 It has been estimated that once between 60 million and 1 billion butterflies came to this area each year. It is less now. Our guide Freddy, who proudly told us that he is 100% indigenous Chichimeca Indian, led us up the two-mile path through the pine and fir forest to one of the protected sites at an elevation of about 10,000 feet. Freddy told us that no single individual makes the entire round trip. Butterfly lifespans are about two months. 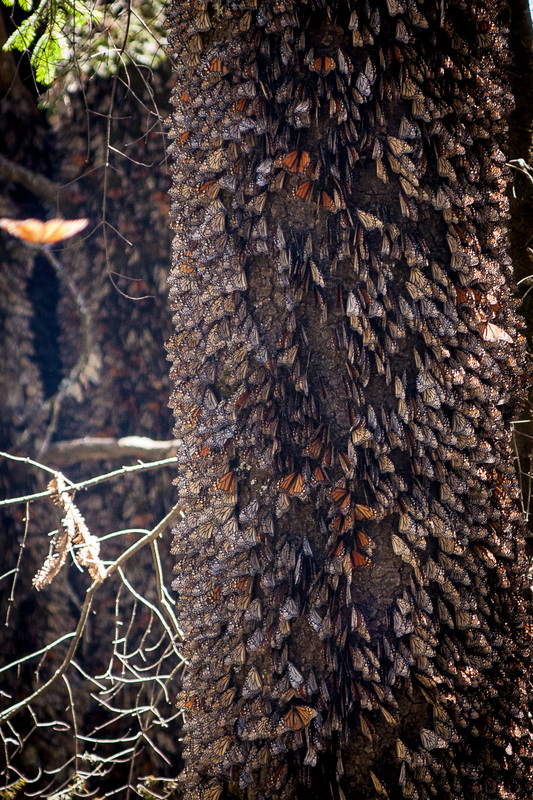 It might take as many as five generations of butterflies to make this migration. 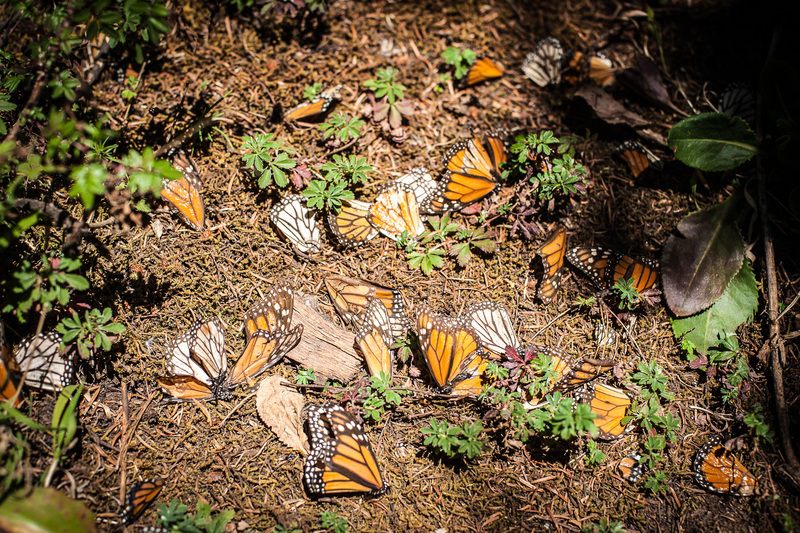 Along the way, he pointed out scattered wings and bodies of now dead or nearly dead butterflies carpeting the ground. Once the pair mates, the male dies. At the top of the trail, Freddy told us to just sit and observe the butterflies flying around us. It was cool, and there weren't too many butterflies in the air so I began to think, "is this all there is?" Suddenly, I saw them. 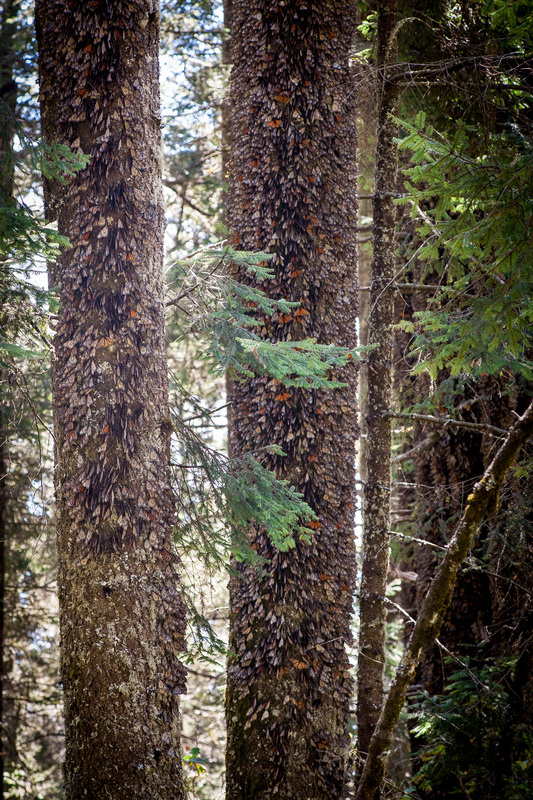 With their wings quivering ever so slightly, they were clustered along the trunks of the fir trees waiting to be warmed by the sun. Then, I got it. Freddy wanted us to sit, observe, and be quiet. This stand of butterflies was protected within a roped off area. Near us sat a group of villagers, women mending, men sunning, watching. They were protectors of the butterflies. Freddie told us that a few years ago, many of the villagers using machetes had fought to keep illegal loggers from endangering the butterflies. 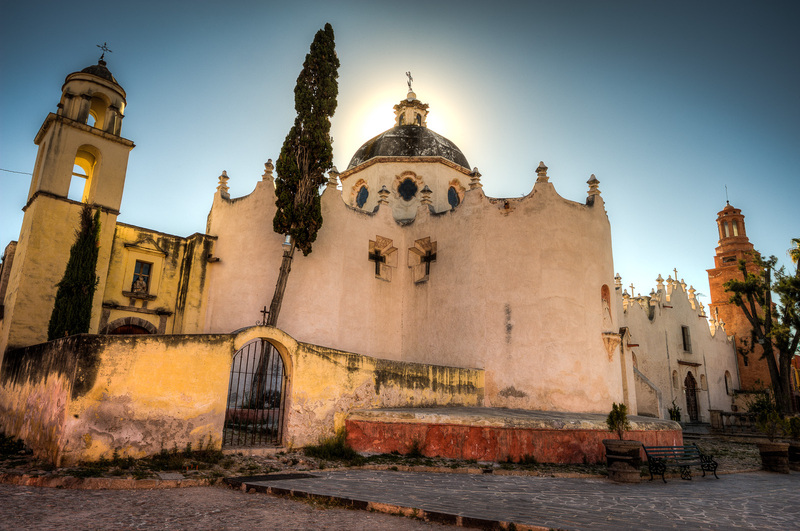 Our last morning in SMA was spent at the nearby 18th-century Sanctuary of Atotonilco also a World Heritage Site. Father Luis Felipe Neri de Alfaro saw a vision of Jesus with a crown of thorns on his head and carrying a cross and was compelled to build the sanctuary. While we were waiting for the sanctuary doors to open at 10:00 a.m., penitents wearing crowns of thorns and carrying small whips for self flagellation waited with us. 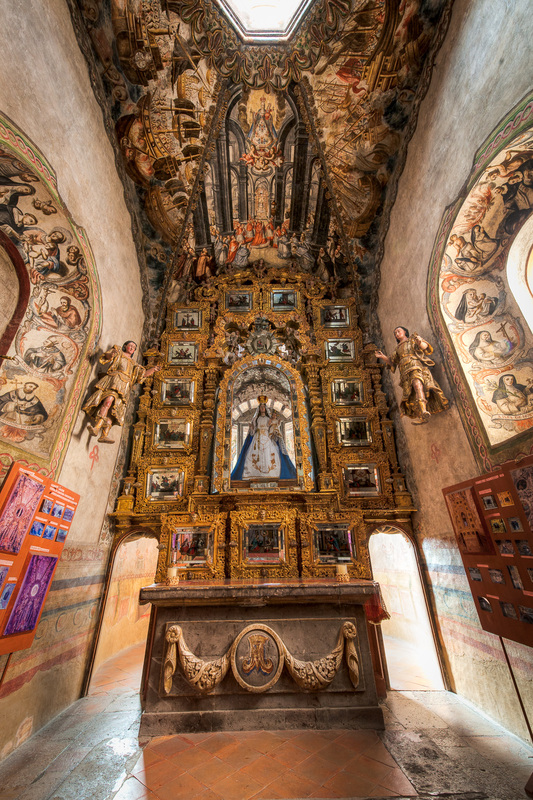 The interior ceilings are masterpieces of Mexican Folk Baroque causing the sanctuary to be known as the "Sistine Chapel of Mexico." It took the artist over 30 years to finish the murals. 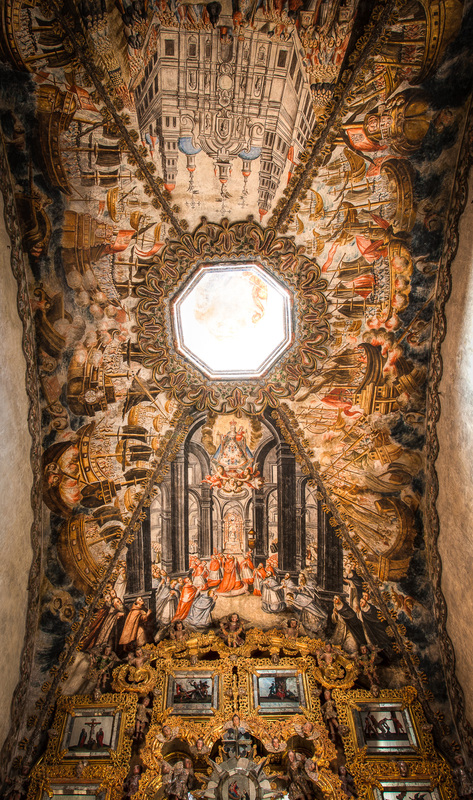 Excerpt from Wikipedia: The Capilla del Rosario or Rosary Chapel was constructed in 1763 and its vault is divided into four triangular segments. The north segment contains a naval battle where galleons, with Spanish and Ottoman coats of arms, fire at each other, referring to the Battle of Lepanto. The Virgin of the Rosary is credited with the Spanish victory. On the south side, there is a ceremony dedicated to the Virgin Mary in Rome, presided over by Pope Pius V. The main altar is gilded and contains the image of the Virgin. There are 15 small sections over mirrors with scenes related to the mysteries of the Rosary. 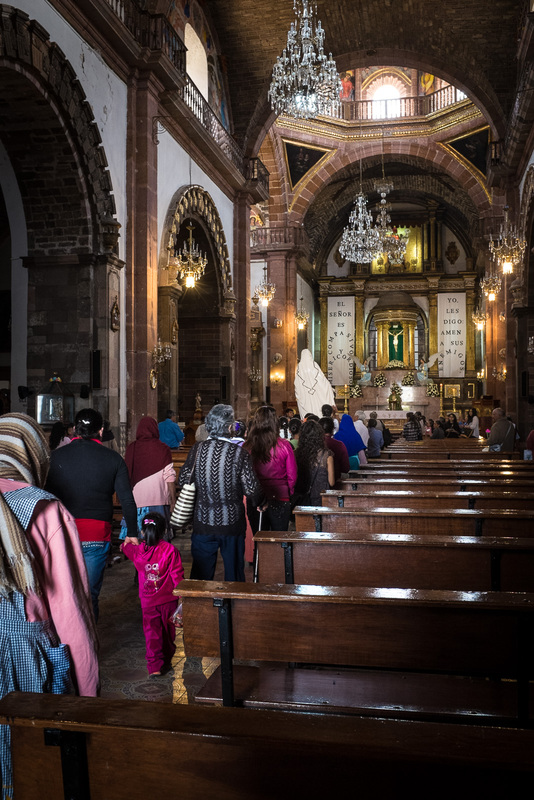 There was so much more to see in SMA and at the Sanctuary of Atotonilco, but it was time for our taxi driver to get us to Queretaro to catch the bus to Puebla the city that is credited with creating molé. Logistics: From Cabo San Lucas we flew Interjet to Mexico City where our plane was met by a Bajio Go Shuttle driver (info@bajiogoshuttle.net). 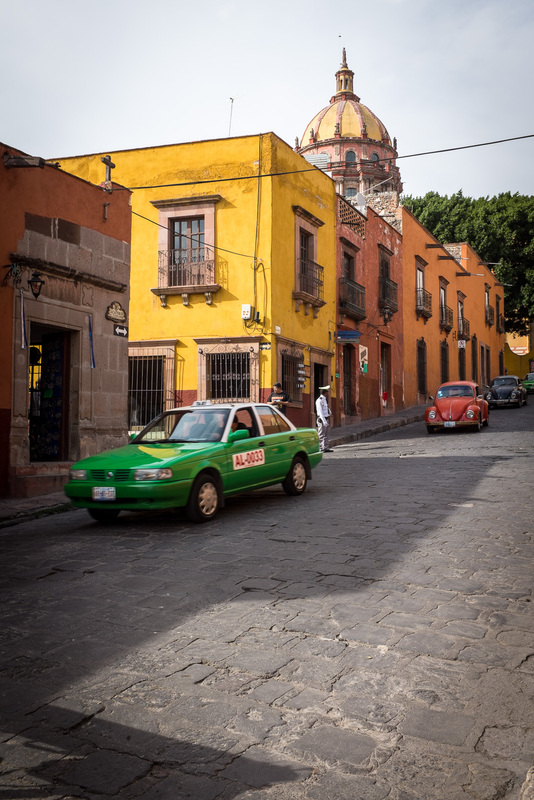 The drive from Mexico City to SMA is $75 per person and takes between 3-1/2 and 4 hours. The driver delivered us to our SMA hotel. We stayed at the reasonably priced and comfortable Villa Mirasol Hotel (hotel@villamirasolhotel.com) located about two blocks from the center square.